The Maryland Department of Natural Resources will conduct a series of workshops in Anne Arundel, Dorchester and Harford counties to provide valuable information for marine facilities interested in learning about the Maryland Clean Marina Initiative. Workshops will provide valuable information to anyone interested in Clean Marina certification. All marine facility managers are encouraged to attend even those already certified. 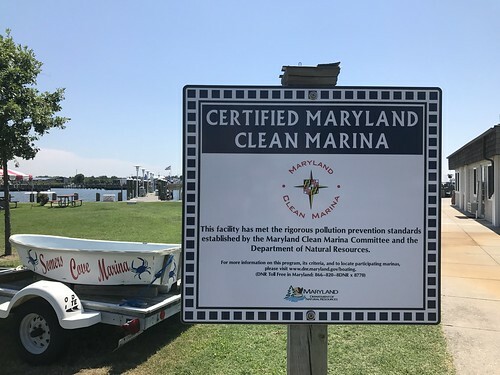 The Maryland Clean Marina Initiative recognizes and promotes boatyards, marinas and yacht clubs of any size that voluntarily adopt and implement pollution prevention practices. The department has certified nearly 25 percent of Maryland’s estimated 600 marinas as Clean Marinas or Clean Marina Partners. Free copies of the Maryland Clean Marina Guidebook and other program materials will be provided at the workshops. Program staff will explain the certification process and review recommended practices, including record-keeping and other requirements for a variety of different boatyard and marina. Existing Clean Marina operators will also be on hand to share their experiences. Workshops will also include a segment on storm preparation and resiliency, in light of several major hurricanes that hit coastal areas in 2017. Marine insurance experts will also be on hand to answer questions on this important topic. Space is limited; advance registration is requested. Attendees should send their name and the requested workshop date to Donna Morrow at donna.morrow@maryland.gov. Confirmation and other details will be sent following registration.